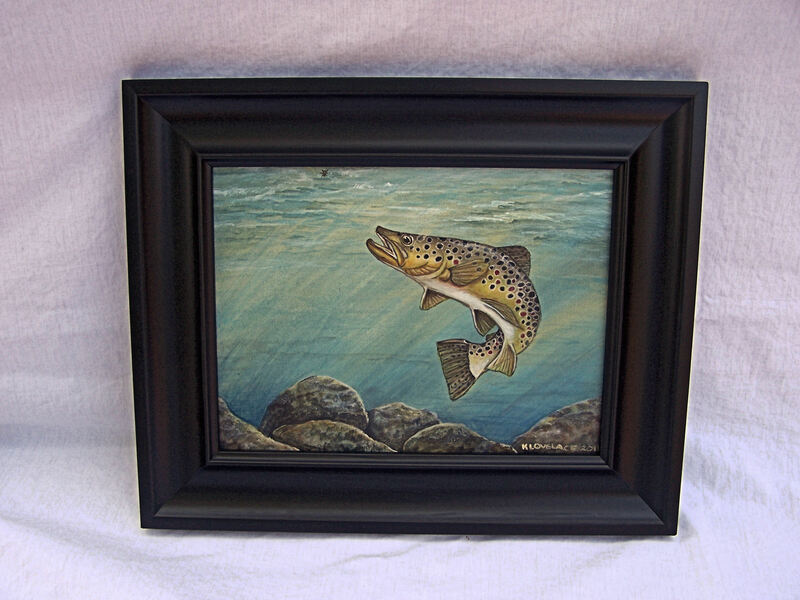 A Brown Trout strikes at a fly in this framed original acrylic painting on masonite. The painting is 9 inches by 12 inches with a black frame. Click here to return to Framed Art page. 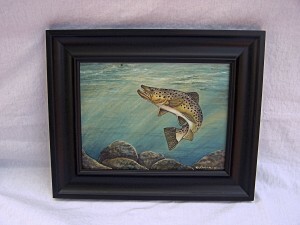 Framed Brown Trout painting titled "Dinner"